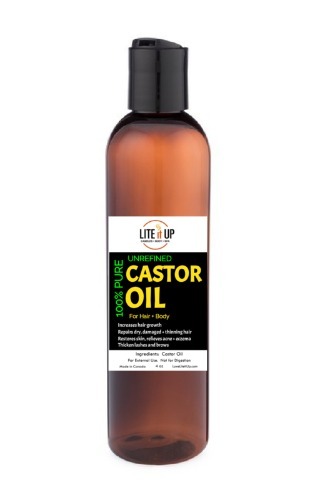 CASTOR OIL - 4oz - Lite It Up Corp.
Castor Oil increases hair growth and helps prevent hair damage and split ends. Thickens hair that is thinning and helps eliminate dry hair and scalp; making hair fuller and shinier. Can be used for skin conditions and rejuvenation. Helps relieve acne, eczema, and diminishes dark circles under the eyes. Also known to thicken eyelashes.